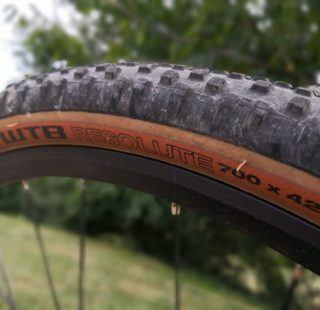 New for 2018 the Schwalbe G-One Bite has been undergoing some fairly rigorous testing. 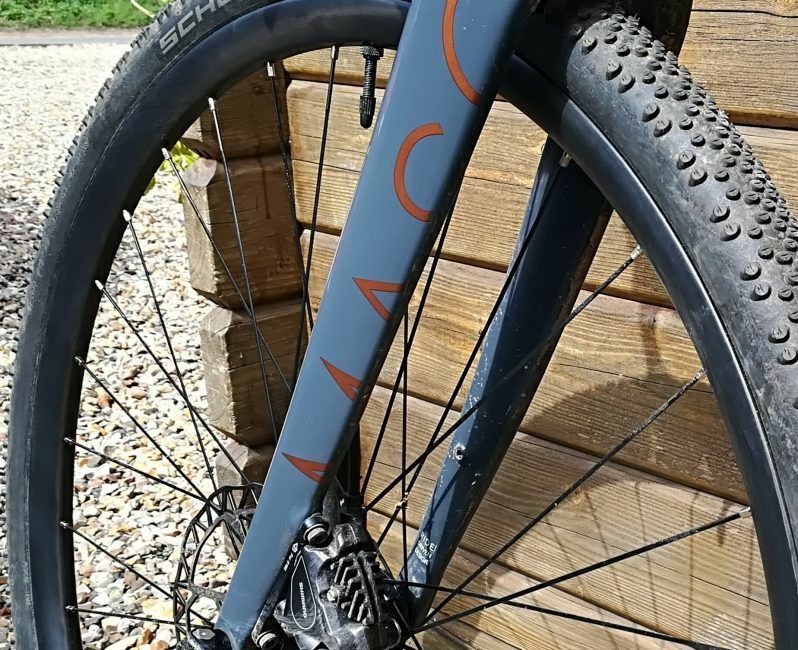 The duty cycle has incorporated road rides, gravel (UK style), mud, sand and MTB trail centre. 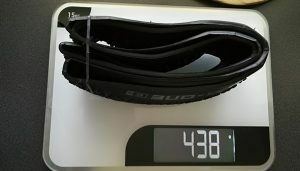 At 438g this should be a fast and responsive tyre. Pretty much as expected then, there’s no holding this tyre back. On and off road, G-One Bite likes to go fast. On tarmac there is a little buzz but nothing that is going to have you reaching for the ear plugs. Wet and dry it has been sure footed, confidence inspiring and a pleasure to have on the bike. As I am about 200lbs, I like to have the tyres reasonably firm and I have been running 40psi in the front and 45psi in the rear. 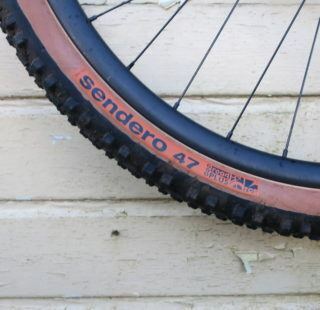 For testing, I have used a pair of our ‘home brew carbons‘ on Hope RS4 hubs. Fitting the G-One Bite tyres was a pain. I tried every trick in the book and was still left with a pile of broken tyre levers. Beaten, I wandered off to my local bike shop who managed to fit them without too much difficulty. Apparently, they seated and inflated without any trouble. They have stayed inflated and firm ever since with no sign of deflating between rides. Nor have I spotted any sealant ‘weeping’ through the side walls that seems to happen with other Schwalbe tyres. I have yet to try taking them off. Let’s say, I am not looking forward to it. It seems the issue lies largely with the rims, not necessarily the tyre. But still…. Off road duties have been as varied as I can make them. 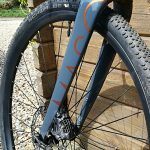 If you are riding on hard pack, or firm and damp mud, the G-One Bite really does excel. 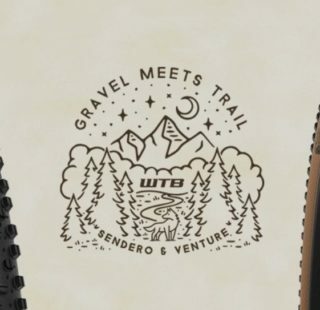 They are ideal for MTB ghettos, where trails have been compacted by thousands of wheels. The armoured surfaces favoured by the Forestry Commission for their trail centres are great too. However, and there is a big however, there are three things they do not like. Fair enough, no tyre likes sand but after experiencing thousands of miles on the, oh so competent, WTB Nanos, it was alarming that these tyres wash out so easily, even when the sand isn’t that deep. Mud… The design brief may not have included competency in mud but this too was a shock. We aren’t talking about deep, sloppy stuff, but maybe an inch or two on the surface. Straight line duties are fine, within reason, but turn hard into a bend at your own peril. Not only do they have a tendency to wash out but it is really hard to keep a tight line. Off camber anything….just forget it. Nowadays, my riding partners hang back when we hit off camber trails. The tyres just won’t grip. I have moderated my approach to off camber sections now and can pretty much cope. The first few times you hit this type of surface though…Beware! It isn’t all doom and gloom though. I have saved the best for last. These tyres are responsive with a capital R! 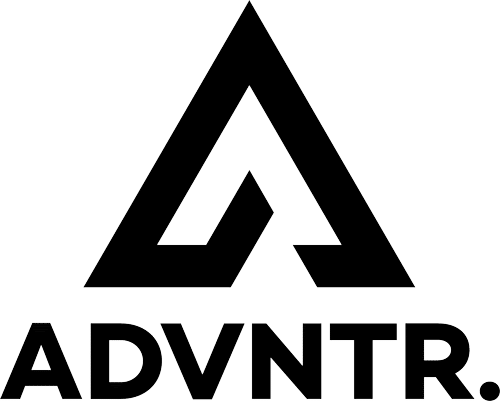 – assuming you are on hard pack or any surface where these tyres are at home. Change line rapidly, to miss a rock or a root, and there is immediate feedback when the G-One Bite snaps onto the new line. I have never felt this on any other tyre. It is confidence inspiring but also so novel that I have found myself trying to do it time and time again. It isn’t an illusion, it happens every time. 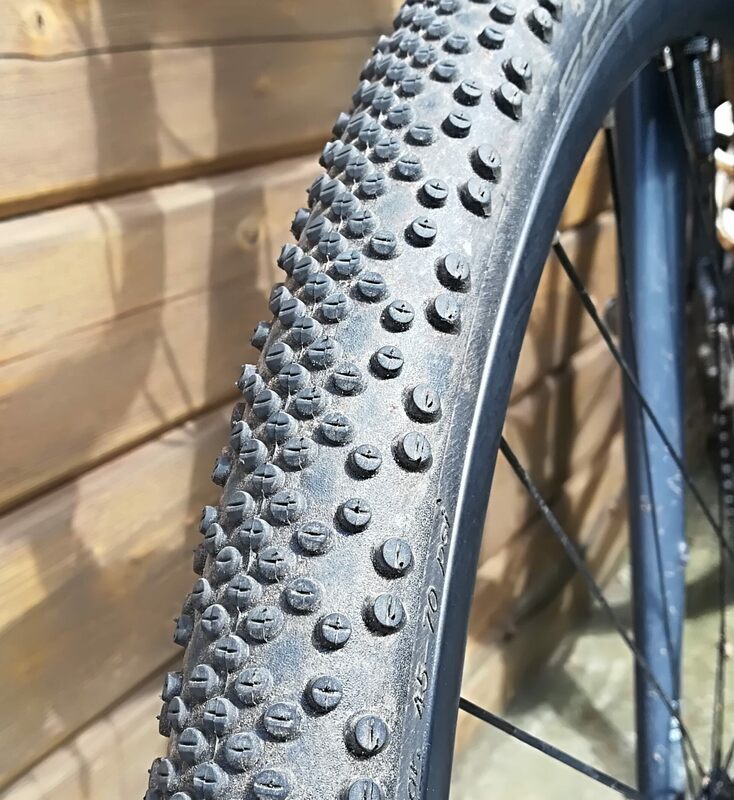 Buy these tyres if you can be sure of the right conditions, such as that one day of summer we may be lucky to see this year. Otherwise, use something a little more all-conditions capable, the WTB Nano for example. My overall opinion of these tyres has changed. As conditions become drier, dustier and sandier, the limitations of this design have become increasingly obvious. Holding a line going into a corner is difficult. Nine times out of ten I have to run wide, feather the brakes and mince round. 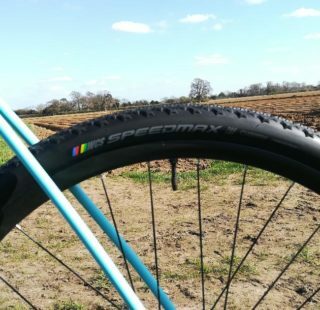 The tyre feels loose and anything but confidence inspiring. I have mentioned sand before. Talk about an Achilles heel. Almost any depth of sand has you wallowing, losing speed and dropping off the back. All this, while everyone else powers through it. Holding a line over any sort of uneven surface is a challenge and if you get stuck in a rut….good luck. For some reason, the tyre is reluctant to let you roll up the sides and out. I have played with tyre pressures to try and improve performance. These tyres are very pressure sensitive. Too much, and you are pinging all over the place. A couple of psi less and they squirm. I liked them in firm, damp conditions, despite their limitations. I think these are probably the best conditions for them. A good, all round tyre they are not. I’ll be taking mine off and heading back to the WTB Nanos. Off camber is too "entertaining"